Friday June 15th is the Grand Opening for our newly remodeled McDonald's. Many events going on that day! 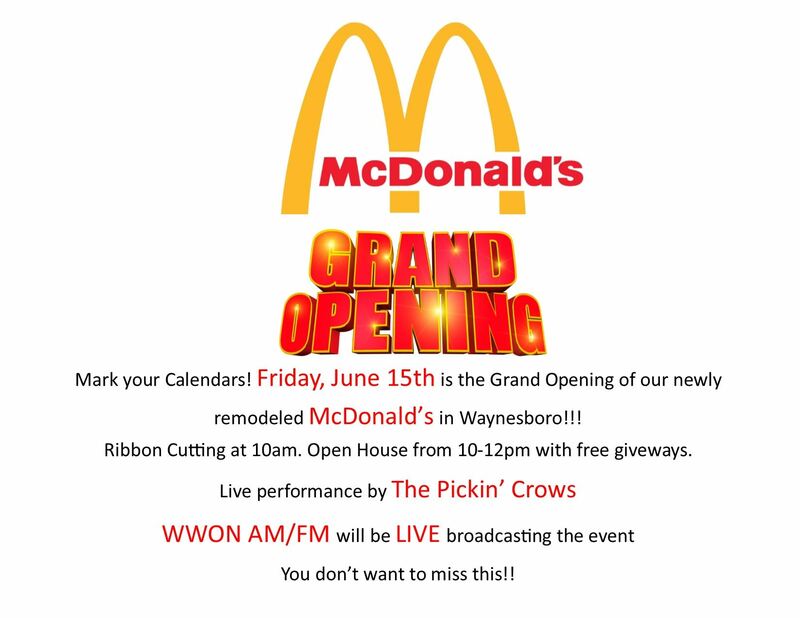 Pickin Crows will be performing, WWON AM/FM radio will be live broadcasting the event! Begins with Ribbon Cutting at 10:00 am and open house celebration until 12:00pm.